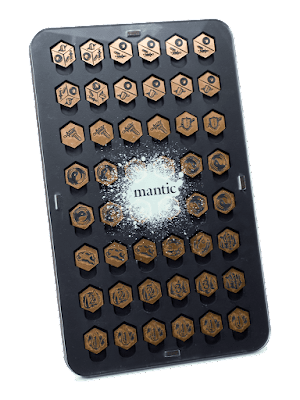 As part of their 12 days of Christmas posts on the Mantic Blog, Mantic mentioned that they would be making an Organized Play Kit for Vanguard. ICv2 has given us a glimpse of what the first version will be. Launching this month, this is exclusively available to retailers to help them host Kings of War: Vanguard events as well as to attract players to events in their store. 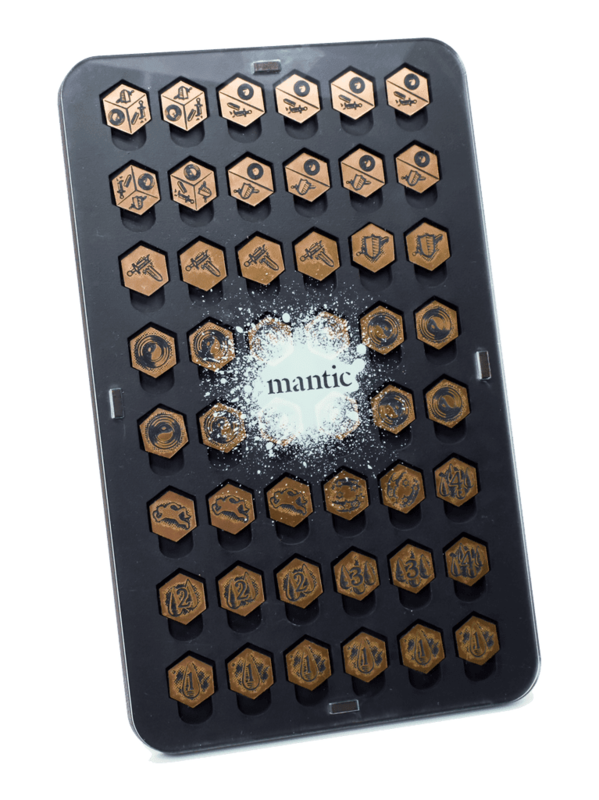 Mantic has also said that they will be changing this up every quarter with different mercenaries and cards. I'm excited about this. 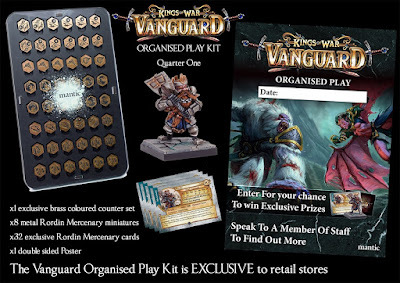 I've said before - I'd really like better Vanguard tokens. The miniature is cool, but unfortunately is not new, nor even exclusive. This is a metal version of the Legendary Rordin figure from Dungeon Saga - which is currently available on the mantic web store as the Dwarf King with Axe. 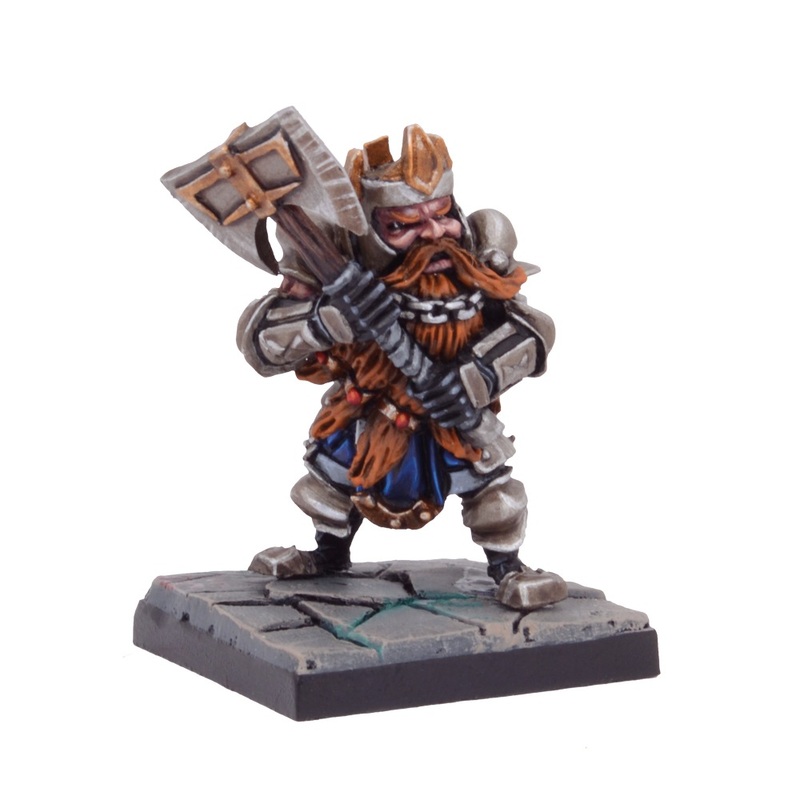 You can also get the set of 4 resin legendary heroes from Dungeon Saga in the Legendary Heroes of Dolgarth Miniatures set. If you want to see the full details of the sculpt - here is the resin version I got in the kickstarter. ( of course I purposely left it unpainted for over two years JUST so I could take new (less blurry hopefully) pictures of it for this blog entry. Of course there are also the mercenary cards. I would expect that they would eventually find their way into Vanguard.easyarmy.com (like Mantic has said that all the other cards will), but that doesn't keep me from wanting the actual card. One of the things I have learned about myself however is that I am a completionist - much like Pokemon, I want them all. (So yes, I stay away from "collectible" type of games (card, dice or miniature). So if you are like me and desperately want this card - well there is only one way to get it. Go down to your FLGS (that is Friendly Local Game Store for those of you haven't seen the acronym before) and ask them to run an event, be it a demo day, a league or a tournament, and get the event pack for it. And if you actually step up to the bar and VOLUNTEER to run the event - well I bet you will be able to keep one of the cards as an organizer. Of course winning the event you are organizing to get the token set is a little cheesy . . .